Some 30 Villagers of Deptsang Village in Serthig Gewog under Samdrup Jongkhar are looking forward to generate income from herbal products. With assistance from the Dzongkhag Forest Office, they formed a group and tried their hands at herbal plantation in 2014. Around 3,000 herbal plants will be harvested to make medicines by the end of 2017. The herbal plant scientifically known as Paris Polyphylla and locally known as Thoksam can be used to cure fever, burns, and skin diseases, among others. “We are leaving no stones unturned to make this venture a success,” said a villager, Nidup Dorji. Farmers are expecting to cash in a minimum of Nu 4,000 for a kilogram of dried herbs and Nu 300, a kilogram of fresh herbs. 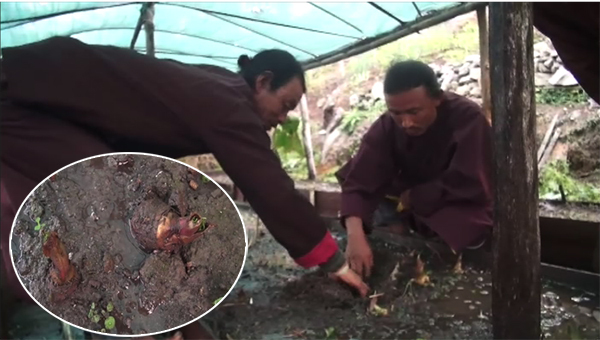 For now, farmers are generating income by selling tree saplings to other gewogs and this year, they fetched Nu 12,000 from sale of saplings during the occasion of Tendrel plantation.